Acer is holding its IFA 2017 press conference today and the company has just unveiled its latest Google Chromebook, the Acer Chromebook 15. 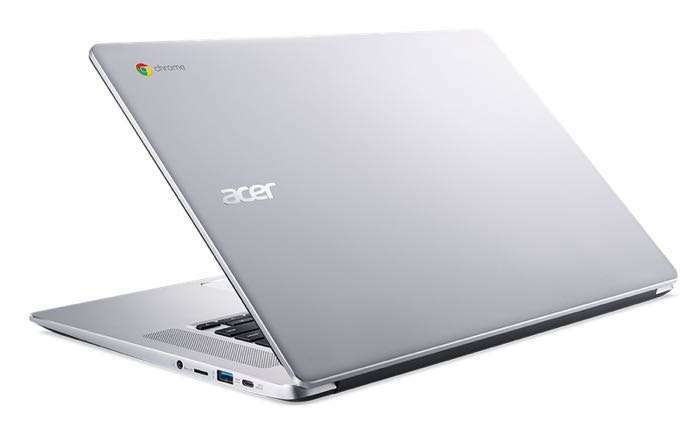 The Acer Chromebook 15 comes with a 15.6 inch display that features a Full HD resolution of 1920 x 1080 pixels. The new Chromebook is powered by a dual core Intel Celeron or quad core Intel Pentium processor and you can choose between 4GB and 8GB of RAM. There is a choice of 32GB of 64GB of included storage. The Acer Chromebook 15 measures just 0.74 inches thick and it weighs in a 3.79 pounds. pricing for this new Chromebook will start at $399. You can find out more details about the new Acer Chromebook 15 over at Acer at the link below.